Reference in this site to any specific service, or use of any firm or corporation name is for the information and convenience of the public, and does not constitute endorsement, recommendation, or favoring by International Malaysian Society of Maritime Law (IMSML). Capt. Hillary graduated from Singapore Polytechnic in 1989 and obtained his Master Class 1 from the Australian Maritime College, Tasmania in 2000. He is an experienced Mariner in various vessel design and operation. He joined a Malaysian offshore company in 2007, led its foray into Dynamic Positioning (DP) in 2007 and was involved in design, commissioning and operations, comprising a fleet of DP vessels. He then established Dynamic Positioning Tech Sdn Bhd in 2012 which provides DP consultancy and DP audits/surveys. 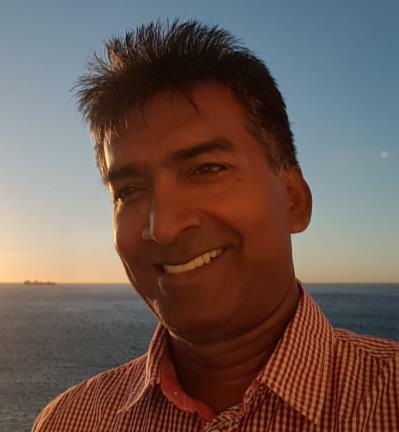 His professional affiliations include Member of the Nautical Institute, Fellow of the International DP Operators Association (IDPOA), Fellow and Registered Marine Technologist of the Institute of Marine Engineering, Science & Technology (IMarEST). Captain Fan started his career on Merchant Ships carrying Dry Bulk and Break Bulk since 1980 and sailed as 2nd Officer with SHELL Tankers UK, Marine Officers and Engineers on MISC LNG Carriers from 1985 to 1989. He obtained his Master Mariner in 1991 and worked in a Top Malaysian Fortune 500 MNC since 1992. He held various positions such as a Full Unrestricted Licenced Pilot Sg Udang Port, Malacca Straits Pilot, Mooring Master, Loading Master and Terminal Superintendent at PETRONAS Largest O&G Terminal from 1992 to 2004. His interest in the logistics Industry led him to obtain his Chartered Institute of Logistics and Transport in 1994 and to further broaden his horizon in business he obtained his Masters of Business Administration from the University of Strathclyde, UK in 1998. He obtained his "Train The Trainers" qualification from the Chartered Institute of Transport and was enlisted as a Master Trainer for fresh lecturers and a resource for the Advance Diploma in Logistics Management. In 2004, he was PETRONAS MITCO's Marine Consultant whose prime responsibility was to trouble shoot Terminal, Jetty and Petrochemical Ships to enable efficient and safe transfer of PetChem products from Ship to Terminal and vice versa to avoid delays and demurrages. He has 13 years of HSSE experience managing Terminal Loading of PetChem Products; Manage Transportation of Heavy Machinery, Spare Parts, Steel Products, Pipes and Tubulars; On Shore, Off Shore Storage Tanks, Road Tankers and a Tripod Beta Trainer in PETRONAS MITCO Japan and PETCO respectively. He upgraded himself with a Graduated Cert in International Management from University of Melbourne in 2006. 1. 12.5 years Bulk, Break Bulk, Conventional ships and LNG carrier in Kapal Management Pte Ltd and SHELL LNG Tankers UK. (MISC LNG) respectively. 4. 8.0 years HEAD HSE in PrimeSourcing International (formerly MITCO Japan). He has conducted several Oil Terminal Management & Operation, Commercial Shipping and Shipping of Dangerous Goods seminars by the Institute of Professional Advancement and was a Technical Consultant to several Small Medium Industries on a case to case basis.